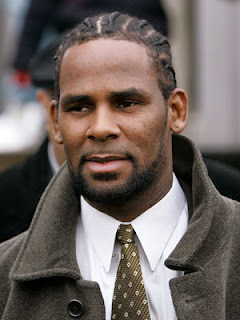 American R&B Superstar R.Kelly fell ill on his way to promote his new book and had to return to his home in chicago for medical treatment . While on his way to New York this morning to celebrate the publication of his long-awaited memoir "SoulaCoaster," multi-platinum R&B superstar R. Kelly was taken ill and had to return to Chicago for medical treatment. Initial indications are that he is suffering from complications from surgery he had last year to treat an abscess on his vocal cords. As a result, Kelly has had to cancel appearances on "The Jimmy Fallon Show" and NBC's "Today" as well as a book party that was being held in his honor. It is unclear how long Kelly may be sidelined.